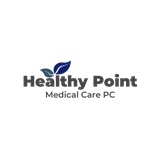 HEALTHY POINT MEDICAL CARE PC (Brooklyn) - Book Appointment Online! IF YOU DO NOT SEE A TIMESLOT THAT WORKS FOR YOU PLEASE CALL THE OFFICE ANY TIME FOR MORE AVAILABILTIY 718-349-1200 Healthy Point Medical Center is conveniently located on Greenpoint Avenue in Brooklyn, NY. Doctor Elhan Suley and staff provide compassionate and thorough care for all of his patients. We also provide specialist services such as neurology, pulmonology, and more! Book your appointment today! I went there to do my blood test because I wanted to see my blood work for my pregnancy. I did not have any illness or disease so my visit was very short. I liked that I could complete the paperwork online in advance. The from desk person was pleasant and efficient. The doctors assistant is also very lovely. She speaks Russian. She was professional and accommodating. She also takes blood beautifully, no pain! I appreciated that. The doctor was polite. He asked me all the right questions and congratulated me with my baby. The whole process took less than 30 min (excluding the waiting room).